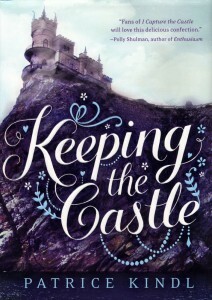 I recently finished A School for Brides by Patrice Kindl, a new companion title to her Keeping the Castle which came out in 2012. I might be cheating by talking about two books, but they certainly go hand-in-hand. Keeping the Castle is reminiscent of Pride and Prejudice with a touch of Cinderella – due to stepsisters. Seventeen-year-old Althea knows the only way to save her family’s decaying castle, its grounds, and their tenants for her widowed mother and much younger brother is to marry well. The two unkind stepsisters living with them could contribute funds to reduce the costs but choose to complain instead. Althea has an unfortunate habit of speaking her mind which makes finding a suitor much more difficult; she would prefer to remain single if it wasn’t so necessary to wed. She does what she can to aid her new friend, Miss Vinchy, in finding a match, but doesn’t seem to make any progress for herself. Readers will see the possibilities long before Althea does, which adds to the fun. Romance, proper behavior of the time and surprises are included. 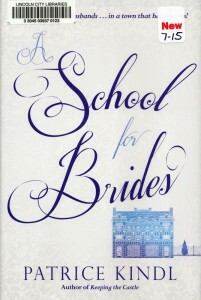 A School for Brides is set in the same time and place – the early 1800s in the town of Lesser Hoo in Yorkshire England – and some of the characters from the first book make secondary appearances here. 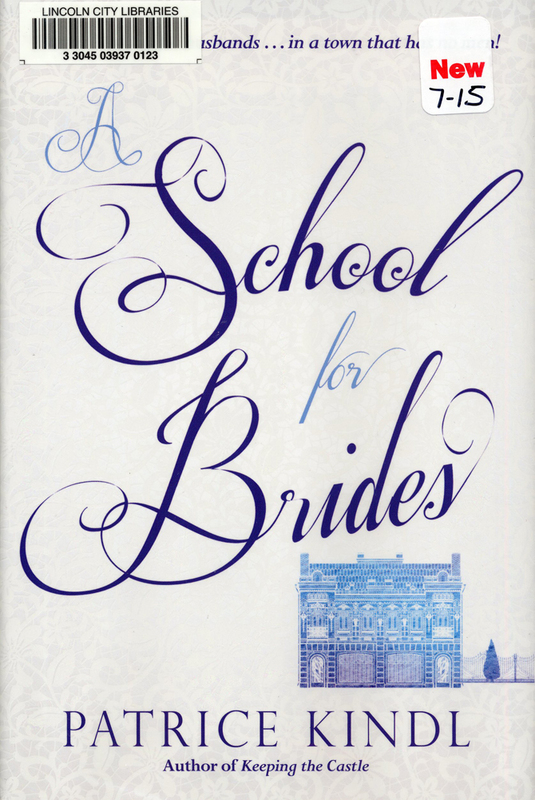 The eight young ladies of the Winthrop Hopkins Female Academy study their lessons in math, French, comportment and stitching; but their real purpose at the school is for each to find a husband. Too bad Lesser Hoo has only one sort-of-eligible bachelor. Things look up when a young well-to-do gentleman is thrown from his horse. A broken leg necessitates his stay at the school and soon some of his friends come to visit. Manners of the day, social standing, treatment of household staff and the winning or losing of ladies’ hands are all addressed. A couple of mysteries and some ne’er-do-wells in the mix make a humorous and gratifying tale. I greatly enjoyed both books, the setting, the humor, and the writing; the author has provided two enjoyable Jane Austen-like capers. They are a fun and lovely change from the many teen dystopia and/or killer suspense novels I have been reading lately. They will be enjoyed by teens and adults. This entry was posted in Books & Reading, General, Youth Services and tagged Friday Reads. Bookmark the permalink.